For New Year’s Eve this year we will be offering two sittings. Our first sitting commences at 5 pm and concludes at 7 pm. For the first sitting we will be offering our half price al a carte menu. No prepayment is required to secure your reservation for the first sitting. *please note, there is no fireworks display on eagle street for the first sitting. Please contact our reservations team on (07) 3211 8111 or at info@georgeseaglestreet.com.au to make your reservation for New Year’s Eve 2018 today! Our second sitting commences from 8 pm. For the second sitting we are offering a 3 course set menu for $125 per person. Children’s menus are $40 per child under 12 years old. This menu is inclusive of bread and salad to start with, followed by a range of entrees, mains and desserts to choose from. Prepayment for the menus in full is required to secure and confirm your reservation. 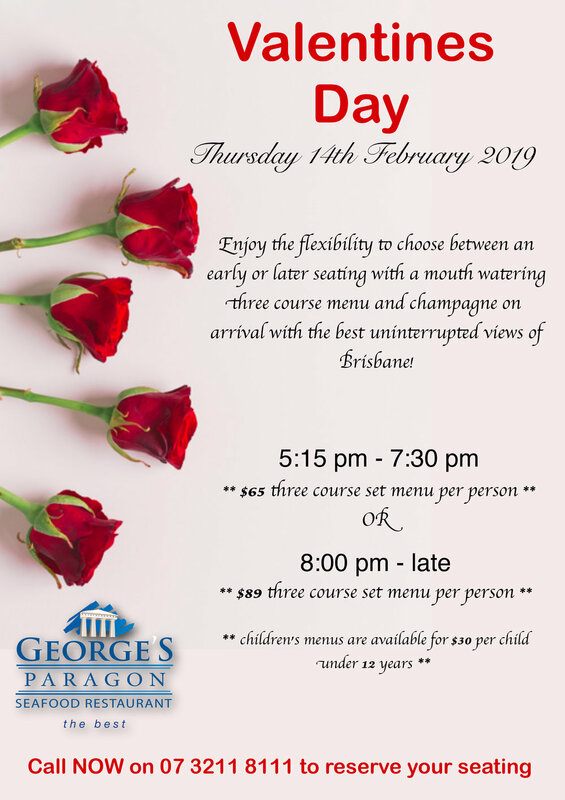 Please contact our reservations team on (07) 3211 8111 or at info@georgeseaglestreet.com.au for the relevant booking confirmation forms. 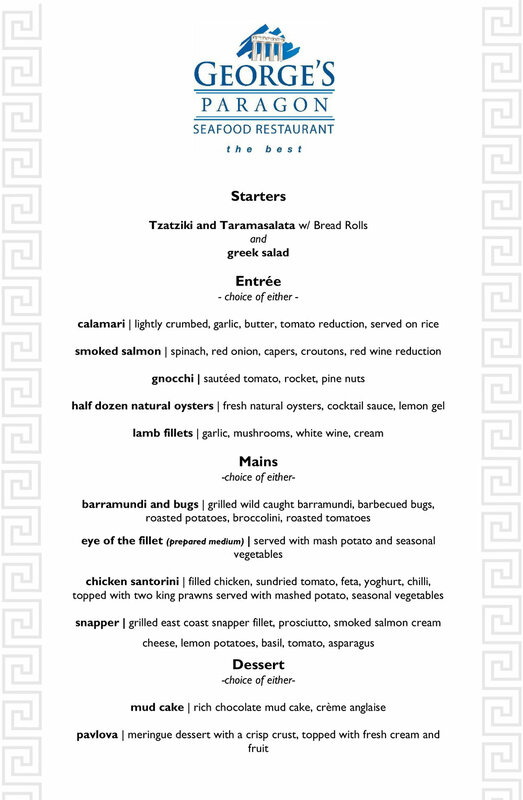 Offering our extensive al a carte menu with a minimum spend of $65 per person, including food and drinks. Lucky door prizes and a complimentary glass of champagne on arrival. Please contact our reservations team on (07) 3211 8111 or at info@georgeseaglestreet.com.au to make your reservation for Melbourne Cup 2018!